We Finally Have A Nominee For Solicitor General…So What’s Next For New Jersey Sports Betting? 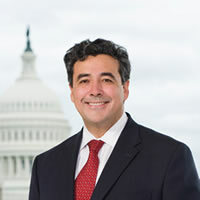 President Trump has officially nominated Noel Francisco for the position of US Solicitor General. As Solicitor General, Francisco holds a potential game changer in his hands. As you may know, on January 17th, the Supreme Court called for the next solicitor to file a brief on the federal government’s behalf regarding the New Jersey sports betting case. The Justices had previously stated that they would have a decision on whether or not the case would be heard on the 17th, but have chosen to delay. The future of sports betting in the US, not just in New Jersey, could be drastically altered by the outcome of this hearing. Francisco, as the new Solicitor General, would be weighing New Jersey’s claim that PASPA, the current federal law which prohibits individual states from fully legalizing sports betting, is unconstitutional. If this case were to be heard and a reversal of PASPA was put into place as the outcome, states would have the ability to offer Vegas-style sportsbooks for the first time. Dozens of states would jump at a chance to bolster their economies through a new form of gambling. New legislation would more than likely pop up within days, if not hours, of this announcement. The next few months will become a game of wait and see for legal gambling in the USA. While we wait for Francisco to bring his case before the Courts, eyes have turned to our Commander-in-Chief for signs as to how the case will proceed. Many believe that Trump’s stance on lifting the ban will be echoed closely in Francisco’s brief, as he will now be the administration’s representative to the Supreme Court. With his reputation for being a businessman first and a party delegate second, Trump’s history as a proponent of legalized gambling lends credence to the argument that he would not be opposed to lifting the decades-long ban which has driven so much business overseas. This stands in opposition to the traditional conservative stance against gambling. “I’d sit down with the commissioners. I would be talking to them, and we’ll see how they feel about [making sports gambling legal nationwide],” President Trump relayed to Jim Gray of Westwood One Sports Radio when asked about his stance on legalized sports betting in the US. “It will be studied very carefully. But I would want to have a lot of input.” While he hasn’t stated whether he is opposed or for sports gambling reform, many in the gambling industry are hoping that he will weigh in on the topic in more depth soon. The argument for legalized sports betting has gained traction over the last few years, most notably in 2014 when NBA Commissioner Adam Silver penned an Op-Ed piece in the New York Times pleading the case for legalized and regulated sports betting in the US. Last year, MLB commissioner Rob Manfred articulated similar sentiments at the Yahoo Finance All Markets Summit. “We are re-examining our stance on gambling,” Manfred conveyed, “It’s a conversation that’s ongoing.” Proponents of PASPA believe that it prevents corruption and bribery attempts amongst professional and amateur athletes. Those opposed to PASPA believe that not only is it unconstitutional, it’s also leading to hundreds of billions of dollars leaving the US market for friendlier venues overseas. The Supreme Court’s delay in a decision on whether they will hear the case is the first step in the right direction for proponents of sports betting. NJ still faces an uphill battle, and unfortunately, the odds are still stacked against them when it comes to whether the Court will, in fact, hear the case. But, the delay does indicate that the Justices are at least taking a serious look at the issue. That, coupled with the open-mindedness of certain commissioners, could bode well for sports bettors everywhere.